Washington D.C., July 29, 2008 - Magistrate Judge John M. Facciola of the U.S. District Court today denied a motion by the White House to reconsider his earlier recommendations and reaffirmed his recommendation that the court order the Executive Office of the President (EOP) to search individual workstations used between March 2003 and October 2005 and preserve any e-mails located on those workstations or on portable media used by EOP employees. 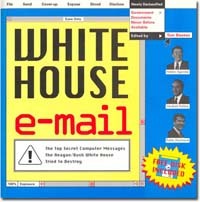 In finding that the White House must search and preserve e-mails saved on individual workstations, the magistrate judge’s report recognizes that some e-mails sent or received between March 1, 2003, and May 22, 2003, may not be preserved on existing back-up tapes. In making that finding, he rejected the EOP’s assertions that “substantially all” such e-mails have been saved on those tapes. The magistrate judge declined to order EOP to make forensic copies of workstations that may contain relevant e-mails, however, in light of the fact that the passage of time makes it unlikely that relevant data will still be recoverable from the “slack space” on the workstations. Magistrate Judge Facciola also determined there was no need for expedited discovery at this juncture because the court’s inquiries already have revealed that “there likely are e-mails not currently being preserved on back-up tapes” and additional information has been made available through ongoing congressional inquiries. The National Security Archive originally filed its case against the Executive Office of the President and the National Archives and Records Administration to preserve and restore missing e-mail federal records in September 5, 2007. A subsequent lawsuit filed by Citizens for Responsibility and Ethics in Washington has been consolidated with the Archive's lawsuit. A chronology of the litigation is available here.